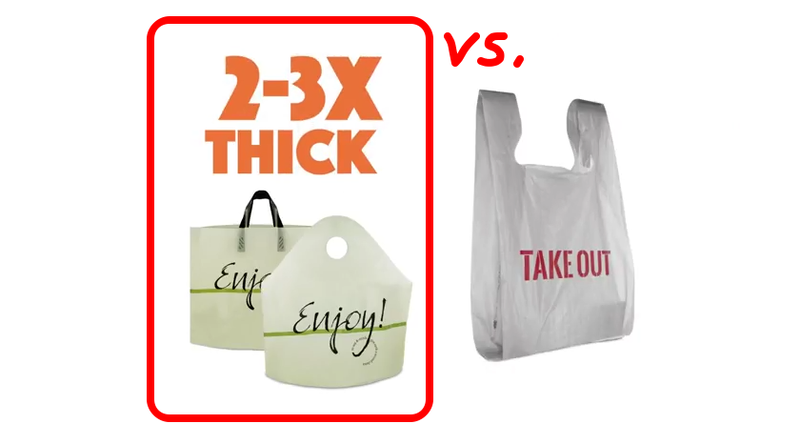 MrTakeOutBags | "What Size Take Out Bag Should I Get?" 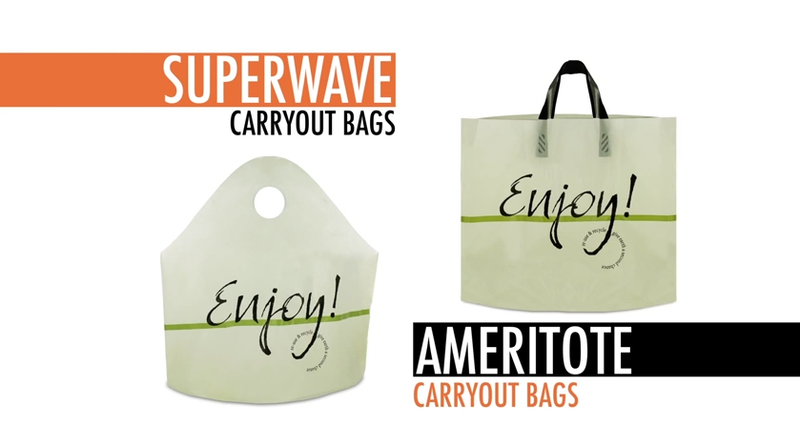 Let’s talk about two of our most popular take out bags… the Super Wave and Ameritote bags. Sometimes they leave folks scratching their heads when it come to determining the right size bag to go with. So, the geniuses that we are, we thought we’d put together this little video to hopefully help you understand. The bags I’m talking about, once again, are the Super Wave and Ameritote bags. 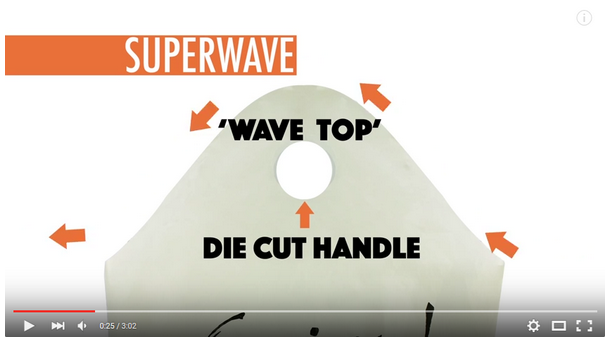 While these two bags are very similar to one another, the obvious difference is that the Super Wave bag has it’s handles “cut out” of the bag itself. This is what’s called a Die Cut Handle. And on the other hand, the Ameritote bag has two soft loop handles securely attached to it. And compared to others bags, having these types of tops makes them super easy to load because nothing gets in your way. You may recognize them from places like the Cheesecake Factory, Qdoba and Wendy’s. 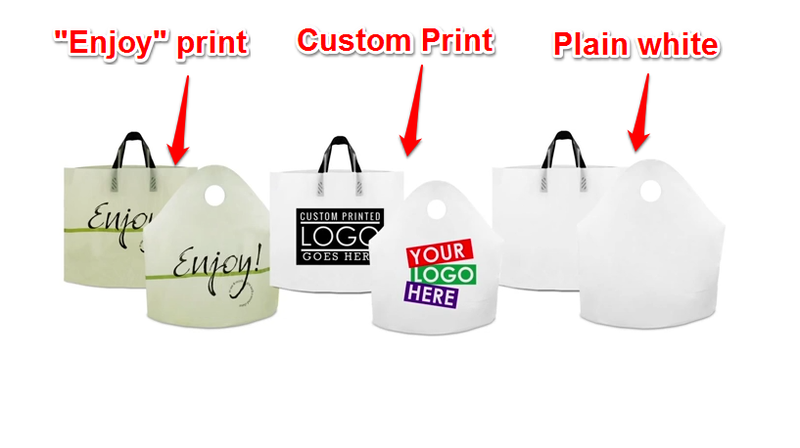 One of the reasons they’re so popular is because they are 2 to 3 times as thick as regular T shirt bags or “Thank You” bags that you’re probably familiar with. What that means to you is they won’t tear or split like a T shirt bag. You see, these bags are made of a unique blend of both high density and low density poly so they won’t tear. And so, they can hold much more weight inside of them. The other great feature about these bags (and the cause of sizing confusion) is that they have a BOTTOM GUSSET which gives them a flat bottom. So, first off, you might be wondering… “What’s a gusset”? A gusset is just a fancy schmancy word for the extra material that’s inserted into a seam to add width or depth to a bag. However, both the Super Wave and Ameritote bags have their gusset on the bottom. 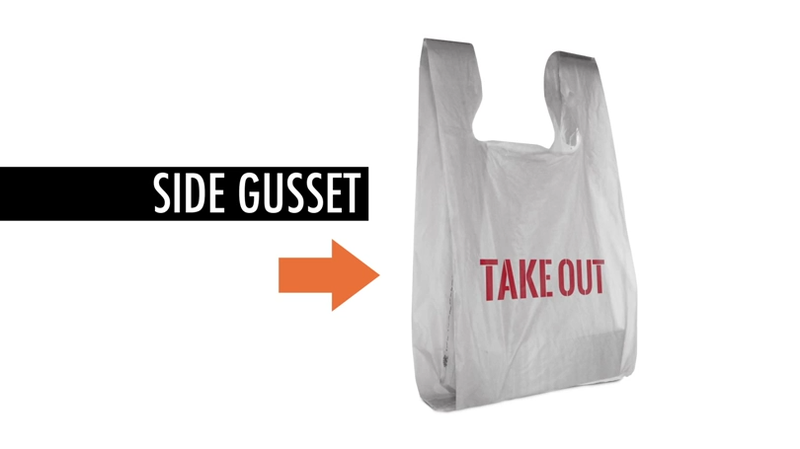 And what this bottom gusset does is that it allows your to-go boxes or containers to sit flat inside the bag. That way your food doesn’t tip over or spill out. That even reminds me of another great feature of these bags… there’s no bottom seam. That’s right. NO SEAM. So even if the bag bumped into something and food spilled out of the containers inside, it won’t leak out of the bag all over the place. So, now that we understand that… let’s talk about these sizes. You see, because the gusset is on the bottom and the sides are now “pinched” (without a gusset), the inner space is going to contract as you open the bag up. As you can see from the image below, the length of the bag is going to get smaller and change shape as you open the bag and place a box in it. For example, let’s look at a 15 x 14 x 5″ super wave bag. And just so you know, the order of those #’s are… Length X Height X Bottom Gusset. So, this bag is 15″ across, 14″ high, and has 5″ bottom gusset. Capisce? 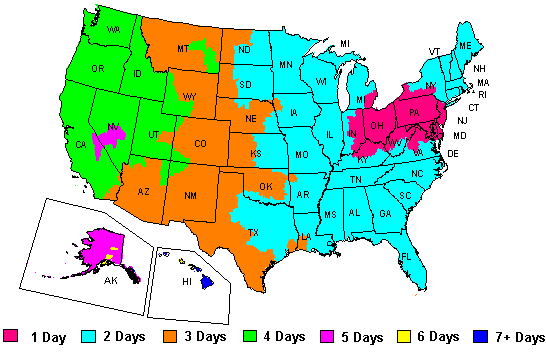 So, while you might think you have 15″ to play around with… you don’t. Like we said, the length will contract in. 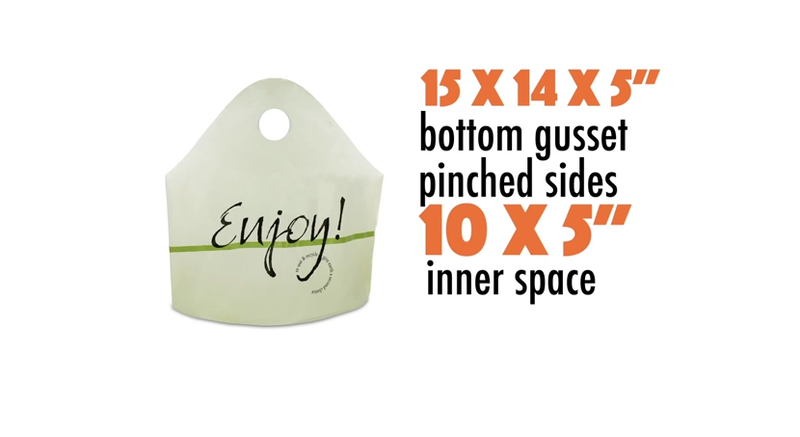 With this size bag, it will actually only fit a box or container that’s 10 x 5″ or less. Because the sides don’t have any gussets, more or less, all of the available space you’re going to get is going to come from the length of the bag. Remember, the first number. 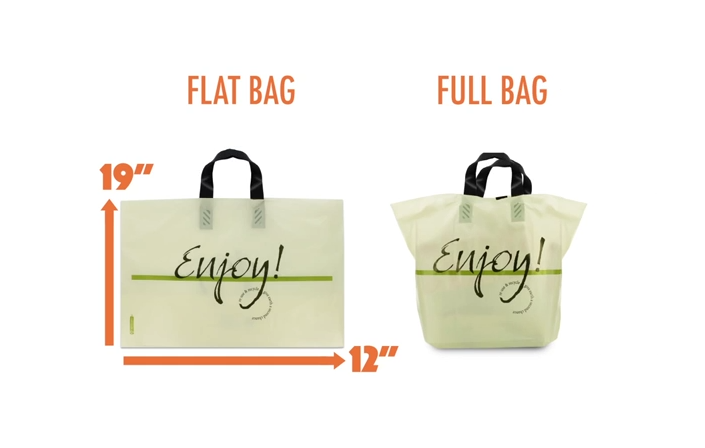 And because there’s two sides to the bag, you would just double the length to get the total maximum area that a particular bag size will fit. Let’s go back to this example of the 15 x 14 x 5″. So 15 multiplied by 2 gives you 30″. So, for a box to fit inside this bag, the total perimeter (or measurement going around the entire box) would need to be equal to or preferably less than 30″. Let’s do the math on a box that’s 10 x 5″. Adding all 4 sides together (10+10+5+5) gives me 30″. Whollah. So, there you have it. I’m hoping we were able to clear up any confusion or uncertainty about these take out bags. But, as always, if you have any questions, don’t hesitate in giving us a call at 888-321-2248 and we’ll be more than happy to help.